hóng kǒu dài, lǜ kǒu dài, yǒu rén pà, yǒu rén ài. Red bags, green bags, some people are afraid of them, some people like them. 口袋 (kǒu dài) means "a pocket" (but in this case it is translated into English as "a bag", "a sack"). 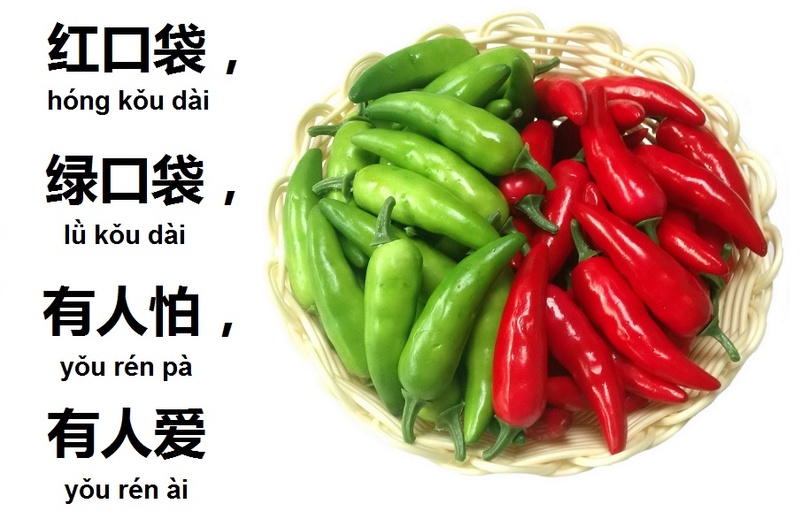 The vast majority of Chinese people love to eat spicy food, and a hot pepper is a core ingredient of many traditional Chinese dishes.